Page by page, fifteen American high school students share their hang-ups, loves and hates, and the pressures of parents and peers. This is a terse, raw, dark novel, informed by the news stories of teenagers with guns slaughtering their classmates. Presented like free verse, each voice confides in the reader as if to a private diary, without inhibition or mitigation. It begins powerfully, with explicit connections between sexuality and violence. As each witness pours out their anxiety, guilt and anger, they reveal a divided society, whose conflicting demands are experienced with full force by these vulnerable young people. Koertge hasn't given himself enough space to explore or resolve the tensions that he ruthlessly discovers. In the end, the situation is too easily contained, and, although Lester, the class fat boy, serves as a focus, the cast of characters is perhaps too large to deploy effectively without the benefit of a conventional narrative. 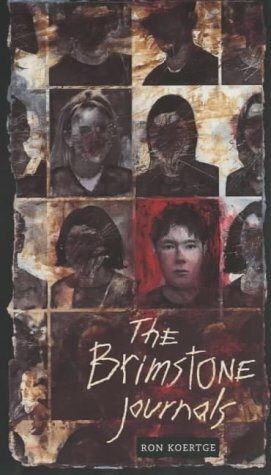 Still, it's a disturbing read, which raises interesting questions and connections, and will invite horror, sympathy and recognition from older teenagers on this side of the Atlantic.